Evan picks PC Gamer's best articles from the first month of 2017. Januaries are usually a lull for anyone who writes about videogames. 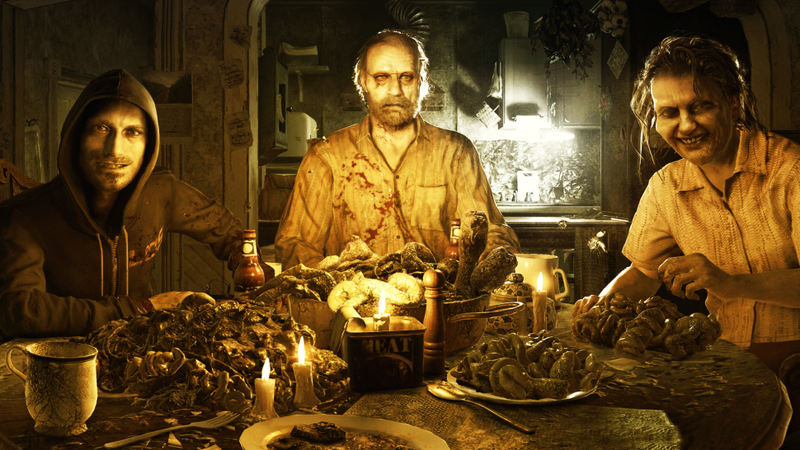 We knew Resident Evil 7 was on the way along with some new CPUs from Intel, but as we entered 2017 the first month of the year looked otherwise dry of prominent new stuff. Leave it to PC gaming to fill that lull with a bunch of interesting stories. What better way to ring in the new year than with this absurdly big pile of PC games to salivate over? Hat tip to Tyler for corralling this beast, which we'll continue to add games to. This is a big year for Microsoft. A lot hangs on what shape Universal Windows Platform continues to take, and features like Game Mode have us simultaneously concerned and curious. Tuan's anti-RGB diatribe struck a nerve, drawing tons of discussion this week—more than 600 comments! Our resolutions-of-sorts for developers, distributors, hardware makers, and PC gamers ourselves. How many frames per second can the human eye really see? The age-old forum argument, answered. Alex Wiltshire stared straight into this difficult question and spoke to cognitive researchers. Which graphics settings should I always disable? Just tons of utility here: we all want a better framerate, and these are some quick tips to get you closer. "This kind of thing is supposed to happen to other people, not me." Steven scored the first interview with the first Elite player to encounter the game's long sought-after extraterrestrials. We ended last week with this ode to cowardice, and the RTSes that facilitated it. Tom makes a compelling case for TLW2 being your next XCOM 2 playthrough, calling it "a thoughtful and effective rework." Sneaking in right under the wire is this great video and story from Steven, who managed to speak with a number of longtime Asheron's Call players following news that the game would close forever. I'm not crying, I'm making a lasagna. When we turn Tyler loose on an idea like this we're always sure it'll be funny and weird (I lost it at "Scott Ryder—who I'm pretty sure was actually born in a vat of American Crew Molding Clay"), but somehow he worked in a layer of useful insight into Andromeda's plot. Your space dad is pretty much deffo deceased, as it turns out.